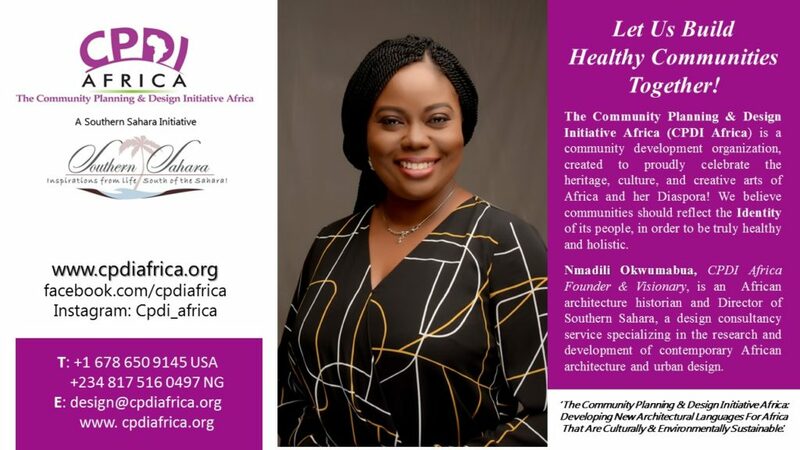 The Community Planning & Design Initiative Africa (CPDI Africa) is a culture-inspired, research-based, design-build competition, created to inspire the development of successful neighborhoods and communities on the continent, with modern African architecture that is both culturally and environmentally sustainable. Believing that the redevelopment of Africa’s built environment should be as it has always been, built as a collaborative effort between the community members and designated master builders, CDPI Africa engages participation from the design community in Africa and the Diaspora at large, for the accomplishment of its vision. Winning designers will receive prizes and special recognition during the CPDI Africa Annual Awards Ceremony, hosted and attended by our Partner Organizations, Sponsors, the Press, special guests and supporting public! 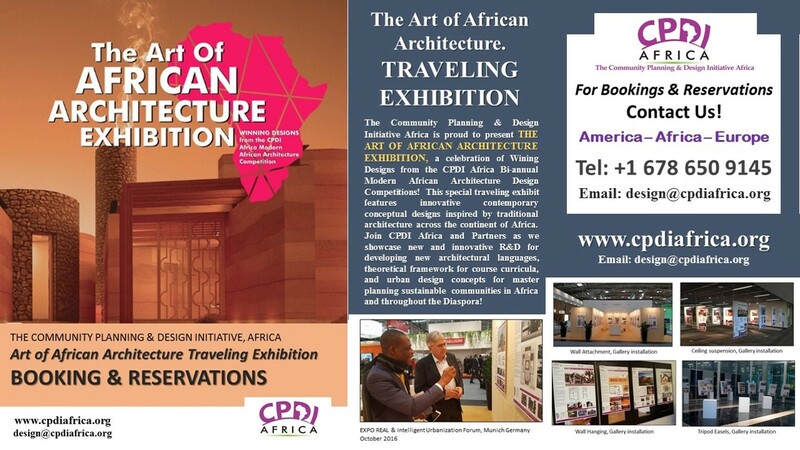 All designers will participate in feature Art of African Architecture exhibitions and documentary films. To design perfect residential prototypes, of contemporary African architecture, that reflects the culture, aesthetics and sustainability for community design and development in today’s Africa. The perfect opportunity for Architecture competitions, architecture schools and the Community Planning & Design Initiative Africa! Register for the 2017 CPDI Africa Design Competition!